Looking back through the images and various places I’ve been to and one trip in particular stands out. New York. I’d just turned 40 and a birthday trip to New York (courtesy of my lovely wife) meant I was like a kid in a candy store. Armed under a backpack full of lenses, I dragged my wife and good friends around New York snapping away like I was doing shutter durability test on my 5D. 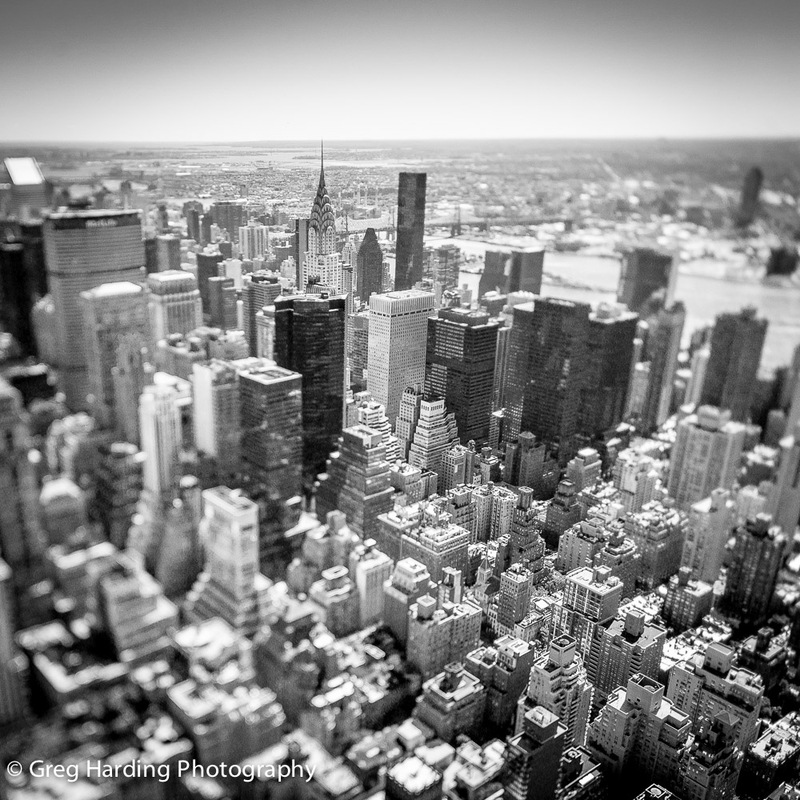 This image taken from on top of the Empire State Building stands out for several reasons to me. Whatever camera you’ve got in your hand you always wish you’d packed something better, today on top of the Empire State I was wishing for a medium format. The view from the viewing platform is immense. Just looking down you see the world as through it was just tiny toys to play with. Traditional lenses and small sensor cameras don’t appear to do the scene justice, so I opted for my 24mm tilt and shift to reflect the height and keep that small toy perspective. I chose the plane of focus to line up through the Chrysler Building and Brooklyn Bridge in the background and opened the aperture to create a smooth and shallow focus fall off. Raw image processing through Lightroom. I hope the resolution of your screen does it justice. As always I’m happy to hear your thoughts.